Adorable home in the Cottages of Deer Valley! This home is move in ready with its brand new flooring and fresh paint. The large living room with gas fireplace, ceiling fan and crown molding flows in to the dining room with an updated light fixture. This kitchen is open and has a great breakfast bar that&apos;s perfect for entertaining. Kitchen is complete with electric stove, microwave, dishwasher, disposal & fridge. The large laundry closet and pantry are also located in there as well as access to your private patio and fenced back yard. 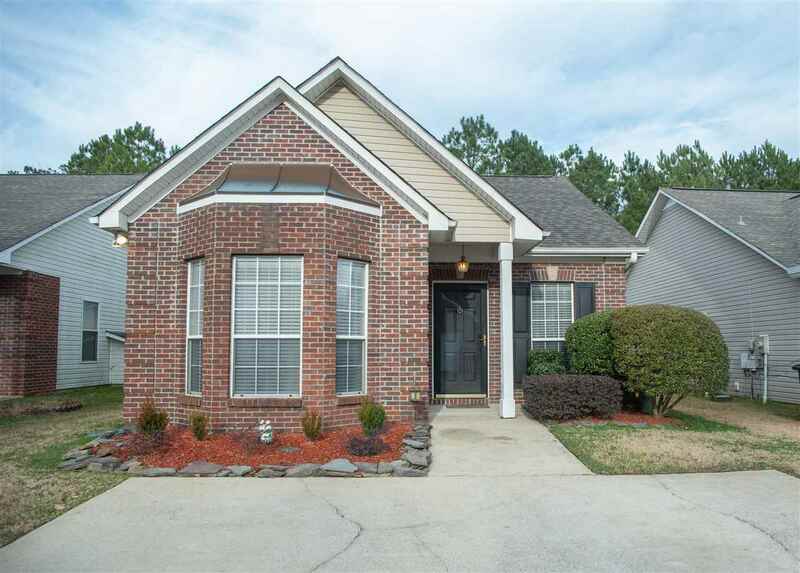 The master is spacious with a large bathroom featuring 2 walk in closets, tub / shower combo, and 2 vanities. The second bedroom is great for a roommate or home office and has a bay window for tons of natural light. The 2nd full bathroom is conveniently located for 2nd bedroom or guests. Roof replaced in April 2017. Owner has loved this location and all the shops close by! Driving Directions: Turn Off 150 On To Ross Bridge. Take Left On To Deer Valley Rd. Take Right On Cottage Ln. Home On Your Left.